Concordia University's downtown campus is seen on Nov. 14, 2017, in Montreal. Concordia University is defending the way it investigates sexual misconduct allegations against its faculty after a former student accused the school of mishandling her complaint. University spokeswoman Fiona Downey said Thursday that the Education Department assured the school it was properly following a 2017 law governing how postsecondary institutions handle such complaints. But Ibi Kaslik, a novelist and University of Toronto instructor, accused Concordia of not treating her complaint properly and keeping her largely in the dark as it investigated a teacher in the English department. She says the teacher was sexually inappropriate toward her when she was his student at the school in the 1990s. Ms. Kaslik said she discovered the teacher was exonerated by the university after a journalist contacted her on Tuesday. She told The Canadian Press she was “merely solicited for information and then denied participation in any kind of justice” during Concordia’s investigation into its faculty member. “It’s absurd and not justice at all,” she said. Ms. Kaslik filed a complaint with Concordia in January, 2018, around the same time the university’s English department had been rocked by a series of sexual misconduct accusations against faculty members. One of the complainants last year was award-winning Montreal author Heather O’Neill, who said she was harassed during her time in the department in the late 1990s. Following the allegations last January, Concordia reassigned classes belonging to two teachers and removed their books from the school’s library display. Concordia president Alan Shepard said last January he would launch a series of measures following the allegations, including a universitywide assessment “of our current environment.” Ms. Kaslik’s 2018 complaint targeted a third teacher, who is still listed as a faculty member. Ms. Kaslik said she heard nothing from the school for about a year before deciding to contact the university. “I waited until after the one-year anniversary of filing my complaint, and I wrote a very strong letter to the dean, the head of the English department, the head of human resources,” she said. One week later, in January 2019, Ms. Kaslik heard from an employee of the human resources department who told her “action had been taken” in the file but offered few details. The CBC reported Wednesday that the lawyer representing the teacher said his client had been “completely exonerated” by the university in September, 2018. Ms. Kaslik said she and others who filed complaints last year have been “revictimized” by Concordia “through this so called process.” She said the instructor she complained about should be fired. Ms. Downey said Concordia cannot comment on individual cases for privacy reasons and because it would be a violation of provincial law. 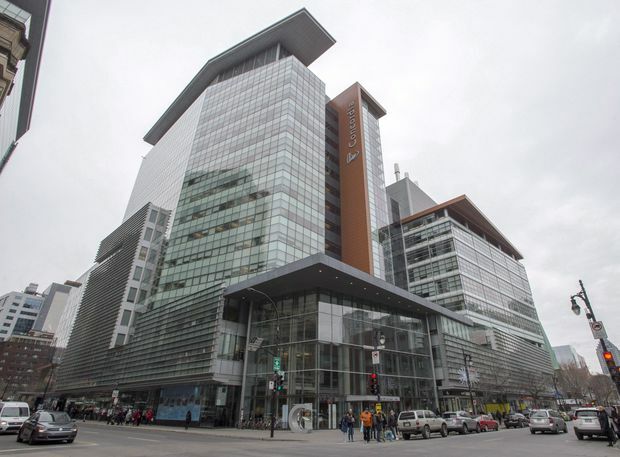 “What I can tell you – and we’ve been very public about this – is that coercion, abuse of power, sexual misconduct and sexual violence are unacceptable behaviours, and Concordia will not tolerate these behaviours from staff or faculty,” she said in a statement to The Canadian Press. Repeated attempts to contact the spokesperson for Education Minister Jean-François Roberge were unsuccessful.